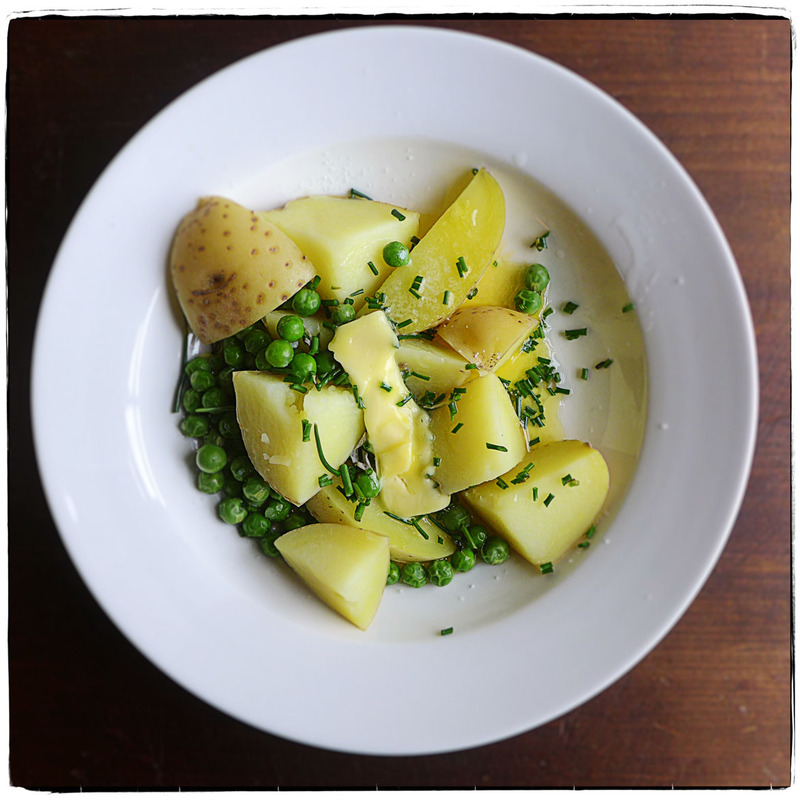 It’s a springish lunch of potatoes and fresh peas (God knows where they are from!) with good Irish butter and chives snipped from the window box. Things keep getting better and better.